You are currently browsing LT’s articles. The Community-Based Planning Task Force blog is on hiatus while we work on some internal restructuring. Please check out our archives and our “Resources” section, as well as the Atlas of Community-Based Plans, to learn more about community-based planning in New York City. These words could easily have been written by South Bronx activist Yolanda Garcia. In the early 1990s, she founded an organization known as We Stay/Nos Quedamos, and led a movement of residents who wanted to remain in their neighborhood despite the City’s plan to redevelop it with low-density, mixed-income housing. They created an alternative plan for affordable housing development at Melrose Commons that is still being implemented today. 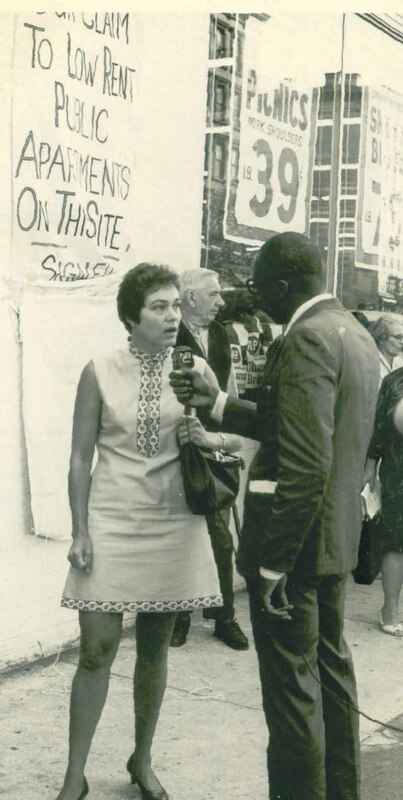 However, the words above are actually the opening statement of the Cooper Square Alternate Plan, written in 1961 by a group of activists from the Lower East Side, including Frances Goldin. Known as the Cooper Square Committee, they opposed Robert Moses’ urban renewal plan to demolish and redevelop more than 2,500 housing units in their neighborhood. On July 13, the Municipal Art Society celebrates the kindred spirits of these two community activists by presenting the annual Yolanda Garcia Community Planner (YGCP) Award to Ms. Goldin. MAS created the YGCP award in 2006 to honor the memory of Ms. Garcia, who passed away in 2005. 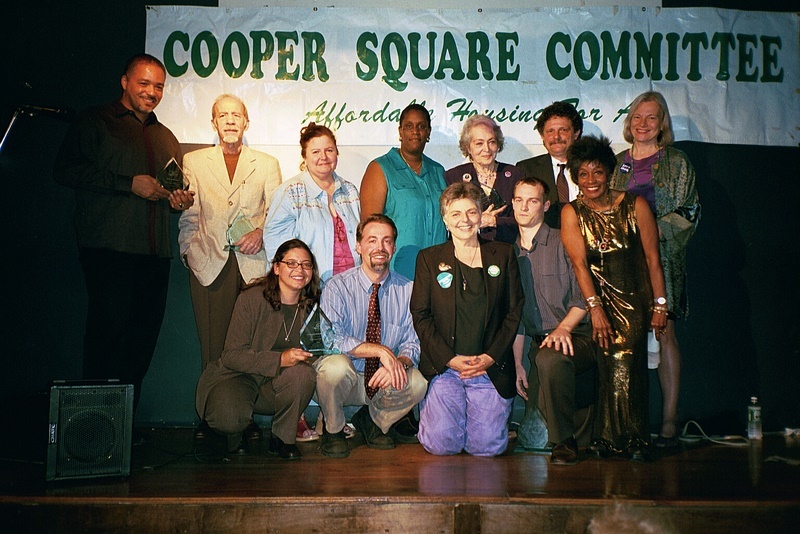 Selected from an open nomination process by a panel of judges consisting of former honorees and leaders in the community planning field, the awardee must have no formal training in planning, and must have demonstrated his or her ability to overcome the many obstacles to grassroots planning and bring neighborhood need and vision into New York City’s planning process. Ms. Goldin came to the Lower East Side from Queens in 1944 as a newlywed of 20. Shortly after her arrival, she went to a local group known as the 1st Ave. Tenant and Consumer Council to research her rent history because she thought her $75/month rent was too high. She became active with this group, and thus began a lifetime as a co mmunity organizer. In 1959, Robert Moses proposed a massive urban renewal plan for the Lower East Side that would have displaced 2,400 tenants, 450 single-room occupants, 4000 homeless beds, and over 500 businesses. He intended to create 2,900 units of middle-income housing, which would have been out of financial reach of 93 percent of residents. 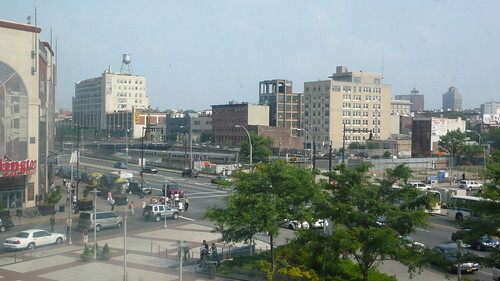 The Cooper Square Committee formed in response to this plan, and organized to create their own vision for the neighborhood’s future. “It was very easy to organize the group because people were directly affected,” said Goldin, who added that they coordinated over 100 community meetings in a year. The resulting Cooper Square Alternate Plan included public housing, Mitchell-Lama co-ops, other cooperative housing, resettlement and rehabilitation facilities, and artist housing. The group based the proposal on two main principles: 1) the people who live on the site should be the beneficiaries, not the victims, of the plan; and 2) no tenant should be relocated outside the community. The City approved a modified version of it in 1970. 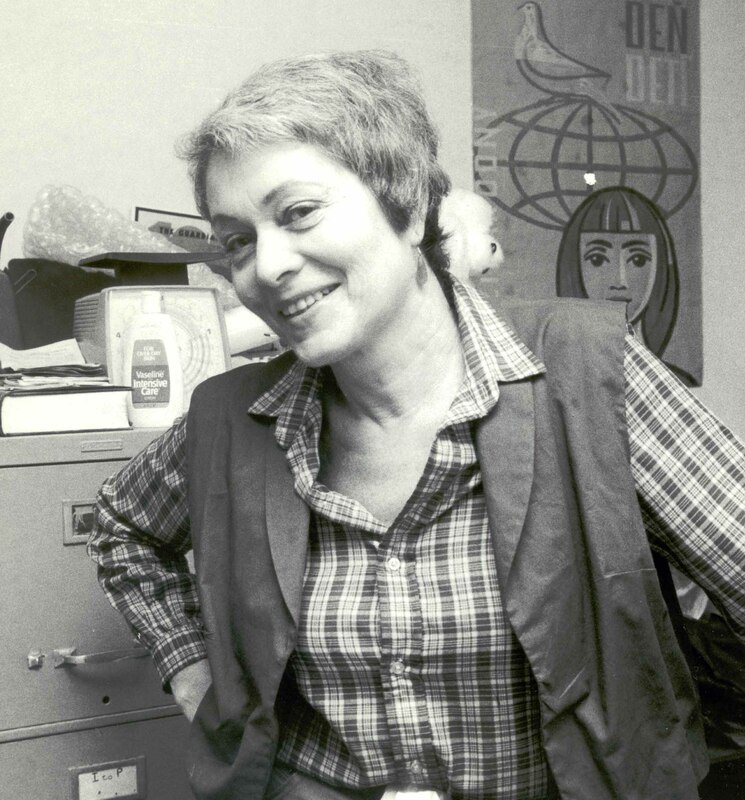 In his book New York for Sale, Tom Angotti writes, “The Cooper Square Alternate Plan would have died an early death if it weren’t for the radical and often militant organizing behind it.” Goldin was heavily involved in the actions opposing rent hikes and supporting an affordable and diverse Lower East Side. For example, at one point the group erected teepees on Houston Street and slept outside to protest rising rents. “You have to have the professional and the media, but unless you have the troops, you have nothing,” she said. Delays plagued implementation of the Cooper Square Alternate Plan initially, but in the 1970s and 80s, the Committee was active in maintaining and creating affordable housing. Some of their early projects included renovation of over 320 apartment units, construction of the 146-unit low-income Thelma Burdick Houses, and renovation of the Cube Building to house formerly homeless families. Today, the Cooper Square Committee owns 23 buildings, and maintains their affordability in perpetuity in the rapidly gentrifying Lower East Side through the Cooper Square Mutual Housing Association. Ms. Goldin will accept the $1,500 award at the Municipal Art Society’s annual meeting on July 13. For more information on the Cooper Square Alternate Plan, visit Planning for All New Yorkers, an Atlas of Community-based Plans. Photos courtesy Joyce Ravitz and Sally Goldin. Over a year ago, the Gowanus community heard the Gowanus Canal Conservancy’s plan to create a “Sponge Park” on a Verizon parking lot near the highly-polluted canal. Today, the Brooklyn Paper reports that Rep. Nydia Velazquez (D-Carroll Gardens) has earmarked $300,000 to implement a pilot version of this community-based plan. The $300,000 is not enough to implement the full park, the Brooklyn Paper reports, but could potentially result in a one-block esplanade. The video above is the trailer for the documentary Some Place Like Home – The Fight Against Gentrification in Downtown Brooklyn, produced by Task Force member organization Families United for Racial and Economic Equality (FUREE). 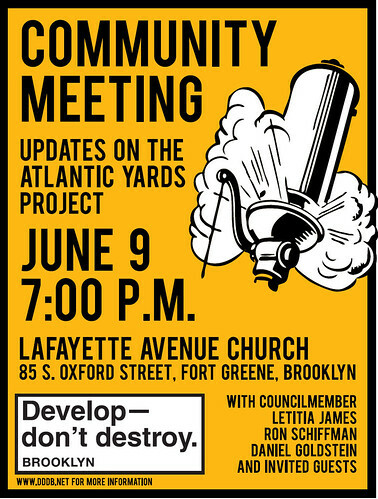 The Accountable Development Working Group and the Fifth Avenue Committee host a free screening on Wednesday, June 24 at 7pm at the Fifth Avenue Committee’s office, 621 DeGraw Street, near 4th Ave., Brooklyn. From 6-7pm there will be an abridged meeting of the Accountable Development Working Group – the last monthly meeting until autumn. Admission is FREE and refreshments will be served! Small business owners and residents interviewed in the film will be on hand for Q & A. To RSVP (not necessary but helpful) or further info, contact FAC at 718 237-2017, ext 148 or dpowell@fifthave.org. Tonight, the Greenwich Village Society for Historic Preservation (GVSHP), the Greenwich Village Block Associations, and other community groups will hold an open forum on New York University’s proposed 2031 expansion plans. The forum will be an opportunity to find out more about the plan from the perspective of community groups, including concerns regarding how NYU is adhering to its commitments to a set of planning principles developed with community input. It is also an opportunity to find out more about the process by which this plan is being reviewed and how you can be a part of it. A flyer for the forum can be found here, and more background information can be found here. 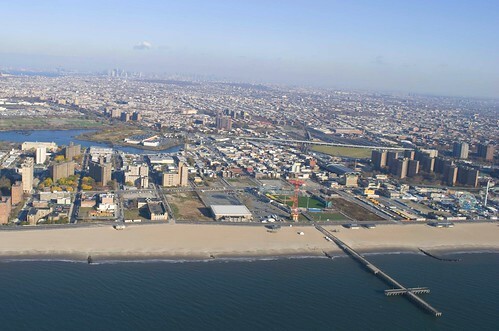 NY1 reports that the City Planning Commission approved its proposed Coney Island rezoning this morning in an almost unanimous vote (one new Commissioner abstained). The plan calls for development of hotels and housing (4,500 market-rate units and 900 affordable units), “entertainment retail,” and more City control of the amusement area, as part of the boardwalk would become mapped parkland. Issues remain with the City’s development plans, however. Developer Thor Equities still owns much of the land within the proposed rezoning area, and the City needs State approval to alienate parkland before it can arrange the land-swap deal it hopes to use to purchase Thor’s land. The rezoning will go before City Council for final approval within 50 days. Your Community Board Needs You! Each and every one of our city’s community boards is currently facing a budget cut of $35,000. Your community board provides a range of services vital to your community’s welfare, from overseeing essential municipal services, to ensuring that you have a voice in local decision-making, to serving as a place-based provider of constituent services. Community boards are the public’s interface with New York City’s enormous and complex government, and they are also government agencies’ conduit to the public. Meaning, for example, that when the Department of Health needs to update a community on the spread of the H1N1 virus, it asks the community board for help with outreach. 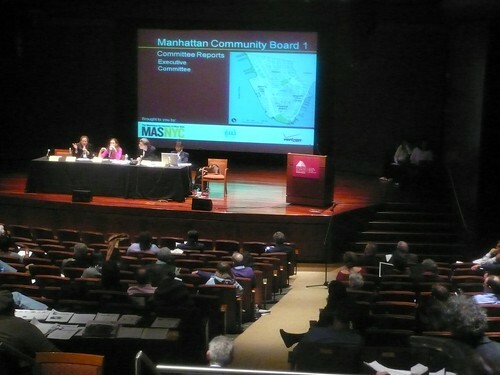 Boards already suffer from underfunding, and cuts this deep mean that the public loses out the most: fewer resources will mean tough choices about how to prioritize the many demands made on community boards every day as they struggle to both perform City Charter-mandated responsibilities and attend to the growing needs of constituents.